Whatever the history of Christian anti-Semitism, most Evangelicals I know read the Bible in a philo-semitic mode. In our imaginations, we identify with the Jews in our favorite biblical narratives. As the New Israel, we see ourselves in biblical Israel’s best and worst moments. But just because we Christians mentally inhabit the stories of the Hebrew Scriptures, doesn’t make those tales ours alone. Those narratives will always belong first to a people whose ancestors suffered in medieval ghettoes and twentieth-century concentration camps, the children of Israel by DNA and (sometimes) piety. Because we share their sacred stories, we think we know them. But in real life, we discover true differences. In 2003 a delegation of rabbis challenged me to listen to Jews before publishing articles about them. A Christianity Today essay (by a Fuller alumnus, no less) had offended them. Out of that encounter, I developed a friendship with Rabbi Yehiel Poupko of the Jewish Federation of Chicago. Over time, it became clear to us that we needed a national dialogue between Evangelicals and Jews so that evangelicals could speak more knowledgeably about Jews and the modern state of Israel, and so that Jewish leaders, who are by and large not clear on the realities of American Evangelicalism, could likewise know how to relate across the divides that separate us. Both groups needed personal exposure, friendships, and phone numbers in order to listen before speaking about the other. We recruited sympathetic Evangelical and Jewish partners and convened an exploratory dialogue in Washington, DC, in June of 2009. We held a second conversation twelve months later. Now we look forward to meeting again in 2011. What have we learned? If we make the genuine and sometimes deep differences between us explicit and agree to disagree agreeably, we can begin to talk and even address the challenges of hypermodernity together. There are obvious differences in how we read Scripture. Both communities read through a lens of tradition, but Jews are much more conscious of that tradition, while Evangelical piety burns with Scripture’s immediacy. Both communities understand their spiritualities through narrative, but Evangelicals braid their communal story out of thousands of personal narratives of transformation, while the Jewish communal narrative grows from a history of misfortunes and the wisdom of the leaders who helped them build and rebuild their community. There are also differences in how we approach ethics. Evangelicals have theology—principled statements of divine truth derived from Scripture—while Jews have halakhah—the 613 biblical laws and the rules derived from them to guide every aspect of Jewish life. Confronted by some new ethical problem, evangelicals will reason from principles like life, love, or justice, while Jews will ask which of the many commands already given should guide them in this new situation. Both communities feel fragile and threatened. American Evangelicals sense the biblical foundations of society crumbling. They wonder if a future America can be friendly to family, religion, and (true) freedom. Jews also feel threatened. Their numbers are minuscule. They have a living memory of German genocide and Russian repression. Their place in their ancient homeland is endangered, and their American youth are intermarrying. Feelings of endangerment make certain topics very sensitive: Jewish evangelism and the state of Israel top the list. The first topic will be a perennial point of disagreement. In discussing Israel, on the other hand, Jews and evangelicals alike have agreed on two goals: a secure Jewish homeland in the Middle East and an end to the suffering of uprooted Palestinians. What is unfair can be called unfair as long as the security of endangered Jews is always a foundational consideration. George Bernard Shaw once called the English and the Americans two peoples separated by a common language. Jews and evangelicals are two peoples separated by a common revelation of the one God. The more we talk, the better we will understand each other—and ourselves. 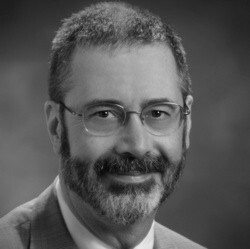 David Neff is editor in chief of the Christianity Today Media Group [as of 2010]. Neff serves his local church as organist and choirmaster and blogs about issues related to liturgy and worship at the Ancient Evangelical Future blog. This past summer he received an honorary Doctor of Human Letters from the Robert E. Webber Institute of Worship Studies in Jacksonville, FL.